Millions of websites have mushroomed on the web covering almost all businesses, information and activities. But only a few of them amaze us by their creative use of images, symbols, fonts, space and other elements while rest of them are the usual, run-of-the-mill stuff. A routine or often-repeated web design becomes a cliché and such a site does not contribute much to the well being of the business it is conducting online. It is in fact the creative and amazing web design ideas that help a business stand out in the competitive online environment. So, as a website designer, you should summon up your energies and talent to create something new that the targeted customers find interesting and get the message on seeing the site at a glance. Of course, creative web design requires you to think differently. But thinking out-of-the-box is rewarding not only for the business of your client but for your web design career as well. For your inspiration, we have carefully compiled a list of some great examples of amazing web design ideas. These designs can give you vital clues on how to design differently. These websites examples below are just for inspiration and not for imitating them. The point behind mentioning the following websites is to make you sit and notice how creative ideas ensure magnificent websites. These are the 4 amazing web design ideas that inspire to create even better. 1. How About Putting Your Business Video As Background? So far, mostly the images have been forming the backgrounds of websites and many of the designers did not think of incorporating a video as part of the website’s backgrounds. But N3BULA used the video to delight and surprise its visitors. 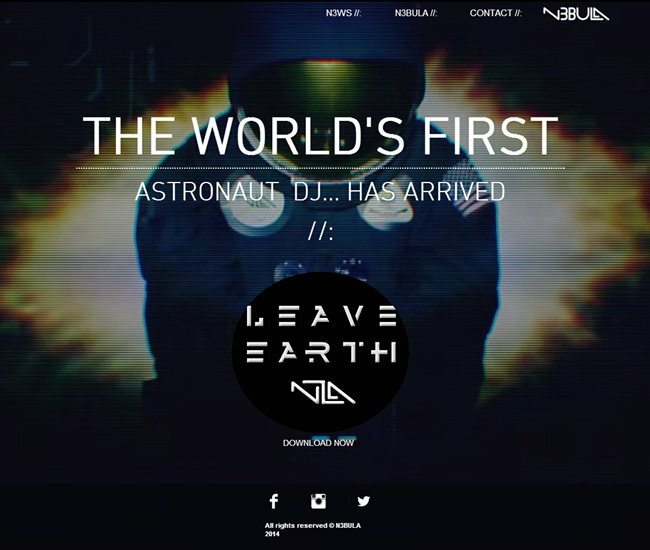 As you visit the website n3nebula.com, which is a site dedicated to electronic dance and pop projects, you are taken by surprise as it is a video of the dancing people and shape of the earth that fills the home page and its background. As you click on the buttons the content appears on the screen while the video continues to play. Clip art is generally regarded as a low grade thing that designers should avoid. But to creative minds everything can be put to make eye-catching designs. Emilia Serranao did just that when she wanted a website to showcase her talent as a film and TV copywriter. 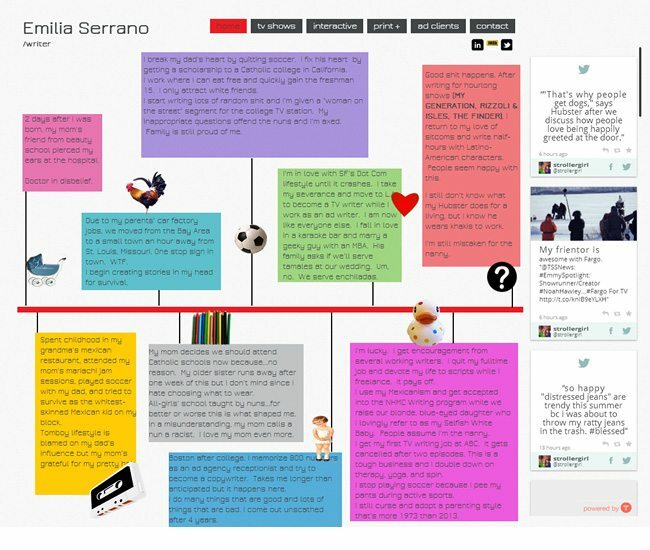 Her Home page on website emiliaserranao.com makes creative use of stock images of things like football, doll, love symbol, duck, cassette and pencil etc to illustrate the content about how she started in the field of writing. Buttons like Home, About Us, Service, and Contact etc were ignored so far with a simple design that looked clichéd. 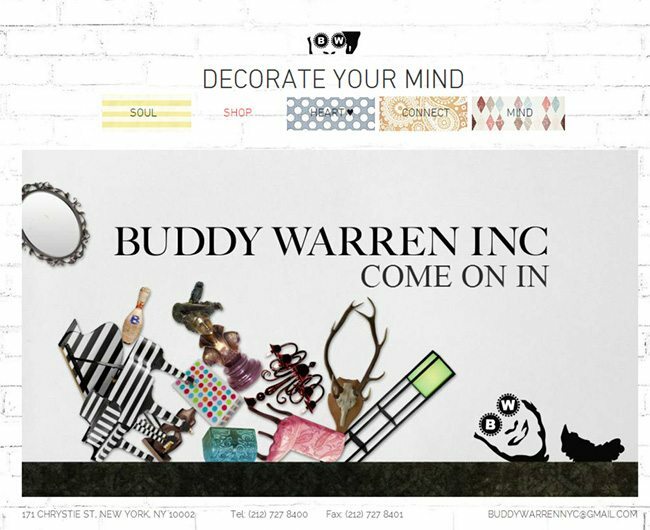 But buddywarren.com comes out with interesting designs of these buttons. The site displays these buttons with fun textured design. Each button has a different texture that invites you to click on them. A view of an object from top of it gives us its new dimension. This aerial view can also give a new impressive look to a website. 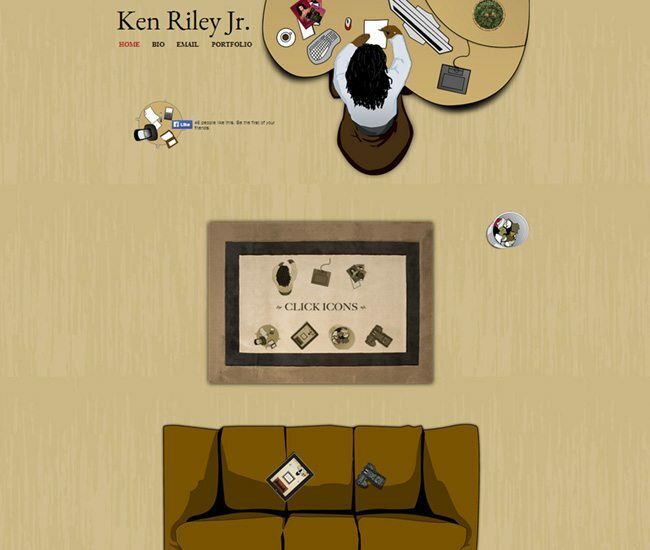 Take the example of kenrileyjr.com which is graphic designer Ken Riley Jr’s website to showcase design portfolio. The home page has the things viewed from the top and gives a unique look to the page. Similarly, the designs are displayed in the portfolio as if you are watching them sitting in a sofa. These are just some of the many amazing website design ideas we have assembled for you just to illustrate what an offbeat idea can do to design a website. The web is in fact full of such ideas of creative web designs. You can scan the wide world of the Internet and see which websites impress you with their designs and unique presentation of content. And if these amazing web designs have inspired you to get amazing and creative ideas for your website, Designhill could be your best bet. It is one of the largest and most reliable crowdsourcing marketplaces where thousands of expert designers from across the globe work round the clock to make that dream design of yours breathe to life in no time.